Joe Landwehr will visit City Lights Bookstore on Friday, March 22nd at 6:30 p.m. He will present his two volumes of Astrology and the Archetypal Power of Numbers. Part One (A Contemporary Reformulation of Pythagorean Number Theory) is a meandering exploration of the extant teachings of Pythagoras about number. Part Two (The Construction of the Birthchart by Number) is an explanation of how this Pythagorean sense of number is reflected astrologically, both in moments of historical significance and in the birthcharts and lives of individuals who have changed the course of history. Joe Landwehr is an astrologer of 45+ years experience, seeking an eclectic integration of astrology, spiritual psychology, and ancient wisdom teachings. Author of several books and Director of The Astropoetic School of Soul-Discovery, brings a wide-ranging spiritual background to his work. He lives in Whittier, NC. Kerry Madden returns to City Lights Bookstore to read her new children’s book, Ernestine’s Milky Way on Tuesday, April 16th at 4 p.m. In Maggie Valley, North Carolina, in the 1940s, Ernestine, who is five years old and a big girl, carries fresh milk to needy neighbors through thickets, down paths, and over a barbed-wire fence, despite her fears. George Singleton will return to City Lights Bookstore on Saturday, March 16th at 3 p.m. He will present his new short story collection Staff Picks. In the tradition of Donald Barthelme, T. C. Boyle, Flannery O'Connor, and Raymond Carver, Singleton creates lingering, darkly comedic tales by drawing from those places where familiarity and alienation coexist. A remarkable and distinct effort from an acclaimed chronicler of the South, Staff Picks reaffirms Singleton's gift for crafting short story collections that both deliver individual gems and shine as a whole. Fostering reading, cultivating the arts and enriching our community through the best humanities education possible. Former CBS programming executive, Jim McKairnes will visit City Lights Bookstore on Friday, January 18th at 6:30 p.m. He will be in conversation with his long-time friend Jeff Ginn as they discuss Jim’s book, All in the Decade: 70 Things about 70s TV That Turned Ten Years Into a Revolution. To reserve copies of All in the Decade please call City Lights Bookstore in Sylva, NC at 828-586-9499. City Lights Bookstore and The Jackson County Public Library have partnered for an event featuring David Gates and Tim Osment on Saturday, February 2nd at 3 p.m in the Community Room of the library. They will present David’s book, The Way I See It, a look at his life growing up in Appalachia, becoming blind, and the determination to succeed despite his many hardships. 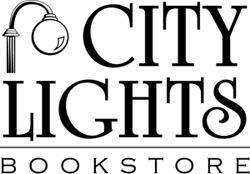 City Lights Bookstore will have copies of The Way I See It available on sale at the library.